Happy Saturday, everyone! 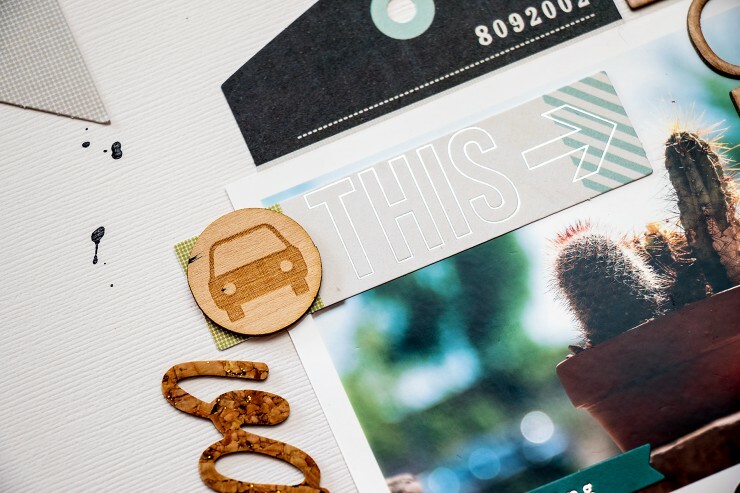 July kits are up on the Gossamer Blue website and they are gorgeous! 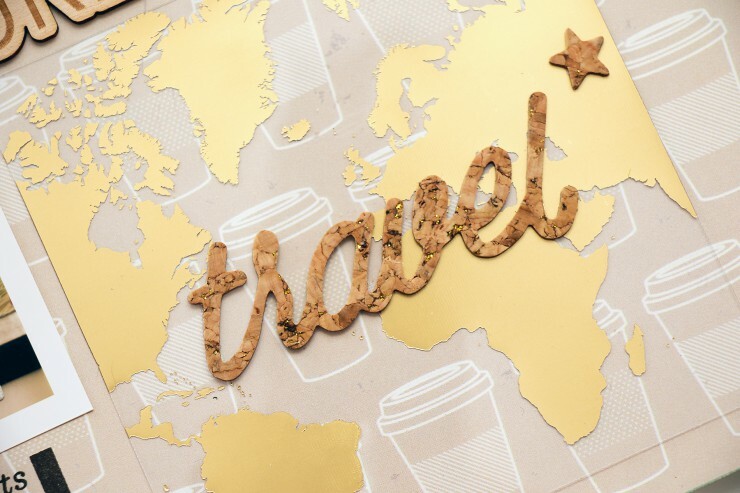 They are right up my alley – lots of travel-themed items, perfect for scrapbooking those travel photos. I’ve created a few layouts using products from several kits and I’m excited to share them here. I rarely share any layouts, but I do love to make them whenever I have the time and, most importantly, the right photos. 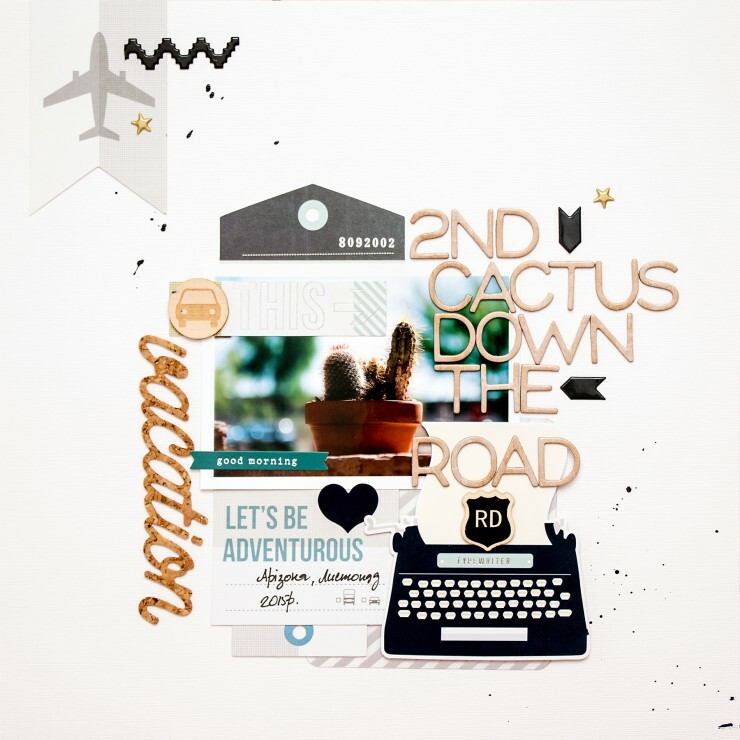 Pictures on both layouts are from my last year’s November trip the Spellbinders DT retreat in Phoenix. I had the most wonderful time! Both layouts are rather simple, I am not one to make heavily layered pages, I like things to be simple, clean and graphic, I guess. 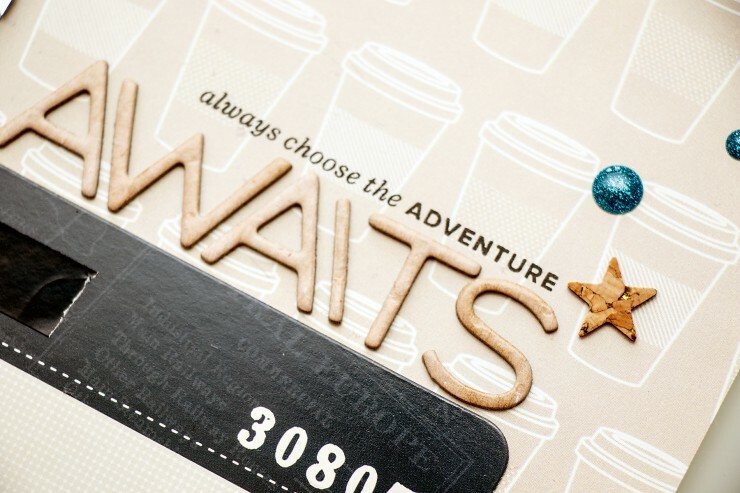 I incorporated fun 4×4 journaling cards from the Atlas collection (July Life Pages Themed Add-On) into my second layout, especially love the clear ones – the gold map and the silver airplane. 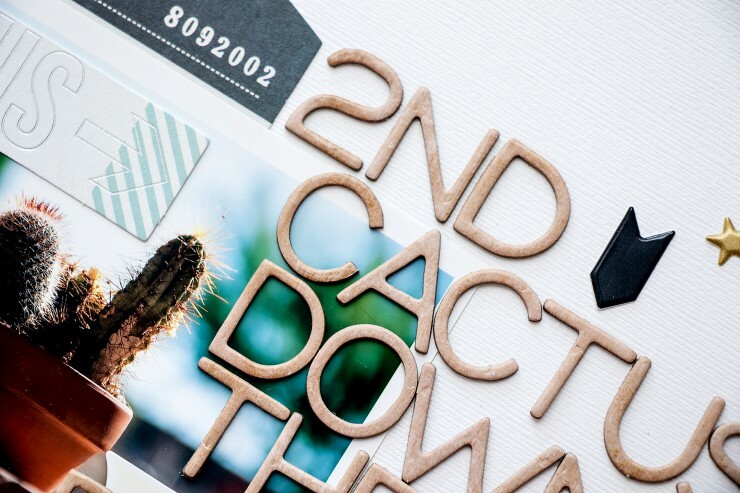 I also added foiled Arizona chipboard – love this little piece! 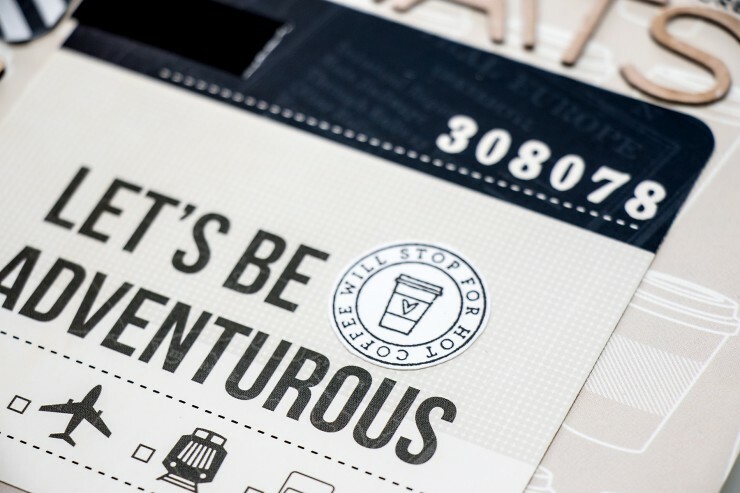 Be sure to stop by Gossamer Blue gallery, you are sure to feel inspired! Lots and lots of beautiful projects there. I’m off to make some cards and do a little bit of gardening on my balcony. Amazing layouts Yana!!! Love them all! Really awesome layouts. Sometimes less is more and I really like the simplicity of your layouts. 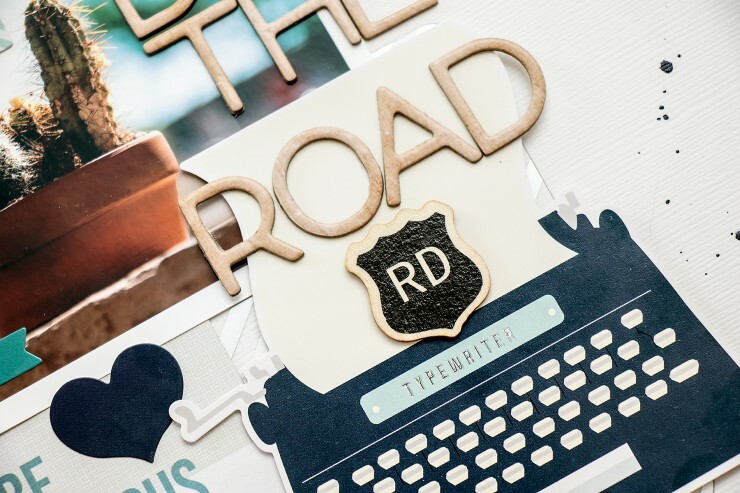 I love the travel theme and the wood veneer pieces! thank you, Jo! I completely agree – less is more.